Some families live and breathe summer camp, but for others the decision to attend isn’t so black and white. We get it. It can be hard to see past the unending options, costly overnights, and long days away from your child. But there is another way. These are just a few of the comments expressed by kids and their families after attending summer camp. And while newbie jitters are normal, you can bet they’ll get hooked on the experience by the end of the session. If you’ve ever looked into traditional resident camp options, you and your child may have hit an emotional wall. The separation and independence required of resident campers may be too much for some families, and that’s okay! Because there is another way to get all the benefits without the trauma. Kids who are too young, too shy, or too ill-equipped for overnight stays and parents who are not ready to let go of their child for an entire one to two weeks session should consider day camp options to cut out the anxiety. Day camp can be an amazing first independent experience for any child, giving them the opportunity to strengthen friendship building skills, be responsible for their own belongings, try new things, and take risks in a safe environment. This first experience away from home can set the tone for future long-term experiences away from home. Kids can learn to push past their comfort zones in a productive way, led by experienced camp staff. And this can open so many doors to future opportunity and independence. You want a natural camp setting with camp-specific activities, such as horses, arts, and crafts. You want your child to experience things he or she wouldn’t be exposed to at school or another familiar setting. Staff should have all the necessary credentials and be intentional with their words, actions, and activities. When done the right way, kids will take this positive reinforcement and use it to better themselves. Not only that, but they will take it home at the end of each day to their families, further strengthening the family unit and continuing the learning experience well beyond their days spent at camp. Look at reviews from other camp attendees about their experiences, good and bad. What other people have said about camp should always be taken with a grain of salt, but they shouldn’t be ignored either. If majority rules that it’s a good place for kids to learn and grow, you can probably trust that it really is. The opposite is also true. The camp you choose should be a place your kids can just be kids. It should provide an environment where kids can break away from the stress and pressures of the organized learning they get at school. Yet, it should refresh them to a point where they are ready to go back to school when it is time, summer memories in tow. Lastly, the camp you choose should partner with parents in the whole process. When your child has behavioral issues, they should take guidance from the parents to overcome them. When your child experiences obstacles, parents can help the child work through it. When anxiety or homesickness occurs, parents can help the child resolve those feelings. This is one of the most important differences between resident and day camps. As long as parents don’t think of pulling their child out of camp as a solution to overcoming these obstacles, this relationship between parents and camp staff can be the most powerful tool in a child’s development. Kids should come home dirty, sweaty, happy, and tired with so much to tell you that there isn’t enough time in the world for it all. 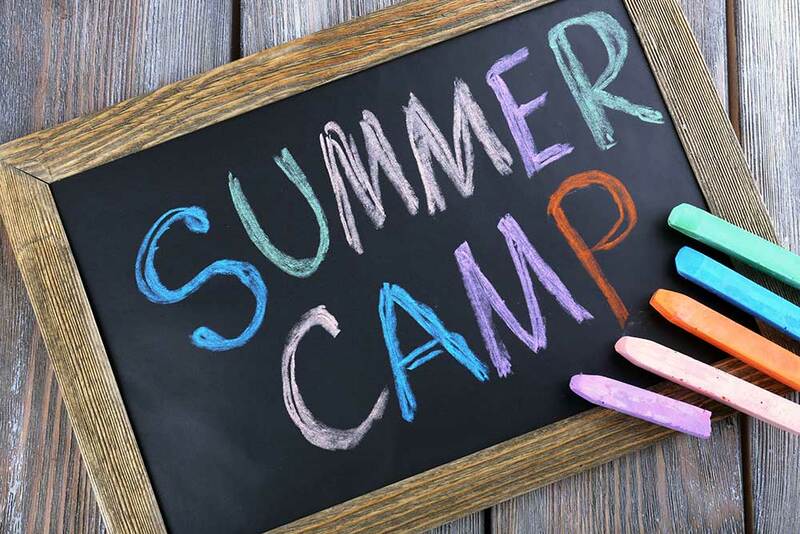 You don’t have to send your child off to resident camp to get all the benefits of camp, whether it’s a “single subject” summer program or a generalized summer camp experience. A natural setting where caring counselors focus on helping kids form connections, reach outside their comfort zones, learn new physical, social, and emotional skills, laugh, and grow without the influence of technology? Yes, you can get all that at day camp, too!